Locally owned and operated, 2nd generation Drycleaning and Linen Rental Service for over 40 years. We opened in 1961 in the dry cleaning business leading to 3 stores catering to high-end dry cleaning clients. Also for sixteen years we were an Apparel Master Uniform rental service. Our dedication to perfection carried over into the Linen industry when it became alarmingly obvious that there were no quality control standards in the local industry. That is when we decided to use our same level of perfection to service clients in the hospitality, medical and fine dining industry. Our customers deal directly with personnel and YES the OWNER too. 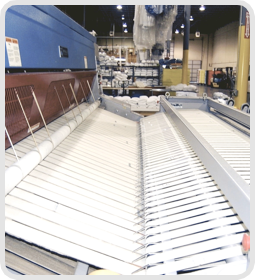 Each customer’s account linen is washed separately providing better cleaning, better control and better results. We have one service cost or rental cost. We delivery twice a week. With our billing, there are NO extra/ ancillary charges, we have one costs and a sales tax. That’s ALL. Our inventory control ensures our customers rental items or customer owned goods (COG) never run out and eliminates loss between us and customer’s shelves. Give us a try. We guarantee satisfaction. Are you down? Call us. We will be there. No Account is too small. Impeccable Service with on-time deliveries. Is your linen quantity right? It will be with Sea Island Linen. What is going on with your quality? It won’t be an issue with us.